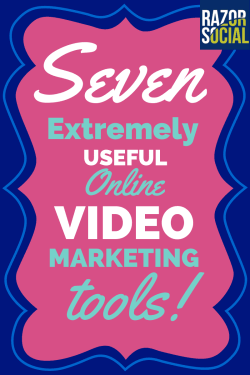 Who else wants 7 extremely useful online video marketing tools? explan Video helps you show up in Google search results, really gets your brand noticed and gets people converting on your website. Are you paying it enough attention? Is online video marketing important to you? We all know that it’s good to share some video with our audience, but great video can be a little more complex than just sharing images or text. At times we have to cut out the bad bits, put in an intro at the start, put in an ending, think about sound and more. Or of course we can also just click a button on Vine or Instagram and do a short snappy one and publish! In any case, there are some tools that can help. I can’t be called the tools guy and not have some tools for you! If I want to start making videos, how long should they be? This is a common question that we get asked. 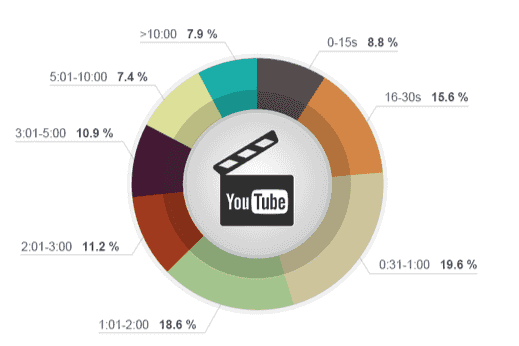 Short videos tend to do better than longer videos. In a recent survey from Socialbakers it showed that there was a big drop off in views after 2 minutes. In this article we go through 7 different tools to consider when producing your video. Screenflow and Camtasia are powerful video editing tools. I mention both because Screenflow is best for a Mac and Camtasia is best for a PC. There is a version of Camtasia for the Mac but it doesn’t provide as much functionality as the PC version. If you want record video that’s going to need editing, you should consider one of these tools. I’m on a Mac so I use Screenflow. When you record, you can easily add in an introduction slide at the start and the end, add in music, cut out clips, combine clips and much more. In the image below you can see that sound is the top part and screen recording is the second part. You could record sound separately and then add it in later, or you could adjust sound to remove the bleepers very easily. For both of these tools, you’ll need to set aside some time to get familiar with them, but they are fairly intuitive and worth considering. Viewbix is an interactive video player that allows you to add various content and forms to your video. For example, within your video you can display a form that allows people to sign up for your email service directly within the video. These forms or apps cannot be displayed on YouTube but you can share them on your website or even on Facebook. Viewbix works by allowing you to add apps to its functionality, and here is an example of some of the ones on offer. 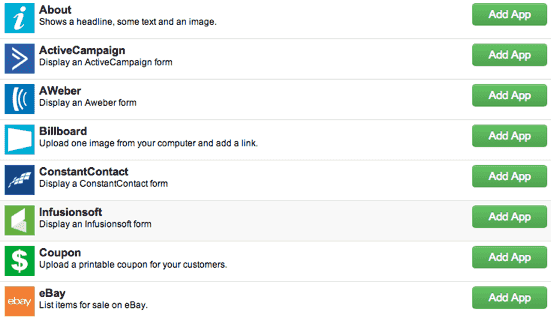 You can see you can add apps such as an ‘about’ box, an app for email subscriptions or maybe a form from Infusionsoft. For this example I’ve decided to add an ‘about’ box and also a billboard. The video is me speaking at an event and, at the end of the video, I want an image to be displayed that is clickable and allows people to sign up for coaching. So, instead of having a call to action close to the video, I have it directly within the video. I also want an ‘enquire now’ button displayed at all times. You enter in a title that appears at the top of the video, then a call to action text and a link to send people to when they click on the button. b). Adding an ‘about’ box. You just select the ‘about’ app and add your title text and an image. Viewers watching the video will see clickable text, and when they click on it, your ‘about’ box will appear with the details. One of the apps is ‘Billboard’. This lets me upload an image and specify a link. When someone clicks on the image they are taken to the link. You can have the image appear at the start, during the video or at the end. You’ll see it in the video below beside the about option. This is what what video looks like when it’s finished. You can see the title with the ‘enquire now’ button, the button to view help and you can see the billboard app at the end. If you click on it you can sign up to hear more about my coaching services!! If you want to be a little more adventurous you can create an animated video, and if done correctly, this can get a lot of attention. 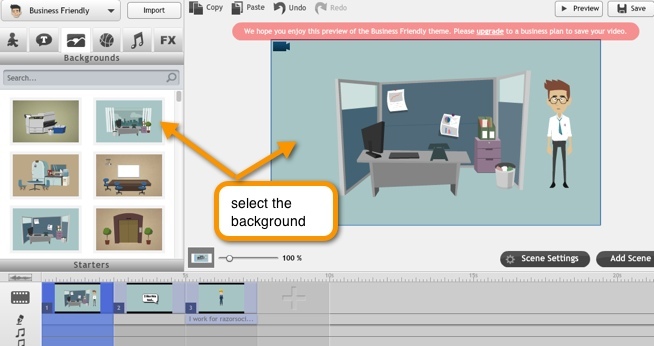 Having an animation video custom-made would cost you a small fortune, but you can also use a video animation tool such as Goanimate. With Goanimate you start off by selecting a template and, based on the template you pick, you’ll have different characters, images, shapes etc. that you can add to your video. When you create a video, you will see options to add your background, drag and drop people onto your canvas, add sound and build up your video sequence. Goanimiate is an easy-to-use tool and it’s not expensive to create an animation. It’s also a lot of fun to play with. A sitemap is a description of the pages on your website. The reason you create a sitemap is that it helps Google find all the wonderful content on your site. You will probably already have a sitemap on your site because there are many tools available to create them, and your developer should have set it up. But what about a video sitemap? 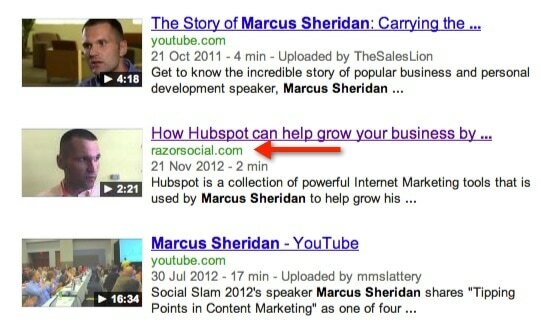 A video sitemap gives Google information about the videos that are on your site. Without one, any videos that you publish on your site that are hosted on YouTube will link back to YouTube rather than your blog or website. By using a video sitemap, you can index the video clips on your site and, when someone sees your content on Google, there will be a little video image. If they click on this image they are brought to your site. Here is an example. The video highlighted is actually on YouTube even though my site is displayed. Here is a useful plugin for automatically creating video sitemaps. 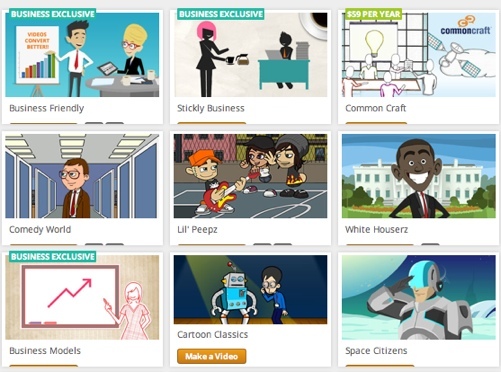 Powtoon is another video animation tool which you can use to create similar videos to Goanimate. The hand drawn option is cool. This is when the video plays out an animated sequence that viewers see being drawn out within the video. Similar to Goanimate you start off by selecting your template. You then select your characters, add your text and build up a sequence that you want drawn. This is very straightforward to use and makes it really easy to create an impressive animated video. Socialcam is a very simple-to-use application for your mobile device that allows you to easily record and edit videos. 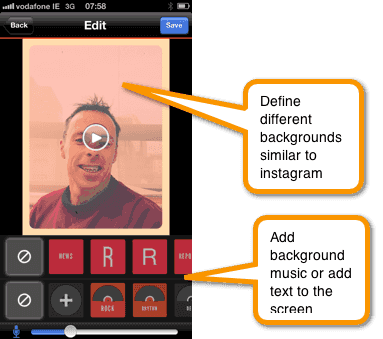 You record the video, define custom backgrounds, add text and music and then upload directly to YouTube. It’s very simple to use and you’ll have the video up and running in no time. So if you want something less complicated than a Camtasia or Screenflow, this is an effective alternative. Flipagram was mentioned to me this week by Heather from Infusionsoft. It’s another mobile app but this one creates a video out of your pictures. You select a range of your pictures, do some minor editing (if you want), and then add some music. If you don’t want music you can also use your own voice (singing or talking!). 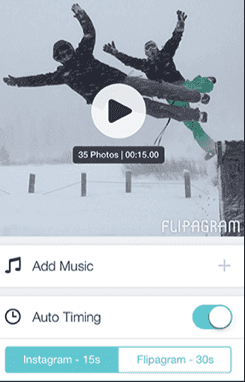 Flipagram will then make a video with the pictures and the imagery. As we have seen recently, more and more platforms are coming up with options for video creation and editing, and they are doing this because there is a demand for it. But it’s not about producing long boring videos. You ideally want short, snappy and cool ones. 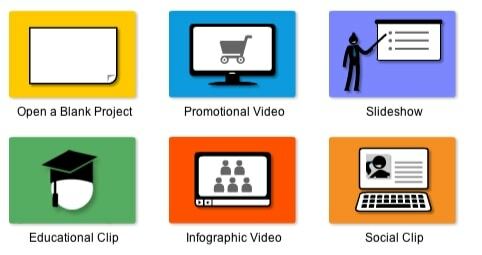 There are some great tools available to help create and market these videos. So if you’re not already using video as part of your social media marketing, maybe you should reconsider…? I know we’ll be doing more in this area (hence this post!). 1. Read more about all the different types of animated view with this article. 2. Share this article on online video marketing with your friends. 3. Comment below – We’d love to hear your questions, ideas, tools etc.